Eloise Hart keeps herself to herself. Content to spend her time with best friends Jo and Devin, hang out with her Rockabilly mother and help out at the local tattoo parlour (while avoiding the local mean girls) she’s used to not drawing too much attention her way. All this changes however, when suddenly she seems to be drawing the attentions of mad old women, a crew of persistently creepy crows and (most importantly, obvs) a handsome young man in medieval dress. Quite frankly, she’d be happy if they’d all disappear but this is not to be. It quickly emerges that her strange visitors are from Faery, a land dominated by the oh-so-nasty Lord Strahan – a Fae with a special interest in Eloise’s missing aunt, Antonia. 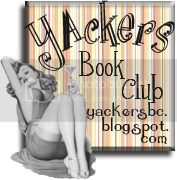 Eloise, Jo and Devin suddenly find themselves caught in the middle of Court politics, lost love and coming war – a war that only Eloise can bring to a halt. Eloise and Jo are fun characters to read. Eloise is a particularly lovely protagonist with her strong sense of identity and moral compass believable and not at all preachy – she comes across as a decent person (with an awesome tattoo, btw) with out seeming holier-than-thou. Her reaction to the situation she finds herself in is at once believably confused and winningly practical and her interactions with Lucas are pretty funny. It’s nice to see a girl who doesn’t instantly swoon at the feet of a boy who is clearly not quite normal. As her best friend (and co-narrator) Jo seems to be more of a free spirit, boy-mad and funny with it. Her loyalty is certainly her most commendable character trait and she’s incredibly likable in her fight to save her friends. Also, her love life contributes most of the obligatory swoon-age. On the male side, Lucas and Eldric cast nicely opposing shadows over the group of friends. Lucas verges on being slightly too nice – honourable to a fault but also awfully sweet. However, Eldric is far more interesting. Fae characters are always at there best when they carry with them a sense of the “other” – a slightly dangerous edge – and Eldric has that down. It’s hard to know whether he’s good or bad and impossible to tell how he might turn out, even at the end of the book. As resident villain, Strahan ticks all the boxes but isn’t anything that readers of Fae stories won’t have seen before although his back story with Antonia is pretty interesting and does add depth. Jo and Eloise’s best friend, Devin, is nice enough but woefully underwritten – he contributes little to the story and could have been omitted completely with no lasting effect. Other characters are sketched fairly lightly although both Antonia and Jaz are strong enough to be believable. A special shout out must go to the rather awesome Isadora – a faery after my own heart (and her own sword). The story line of Stolen Away at first seems quite standard for Fae fare – issues between Seelie and Unseelie courts abound and hapless mortals get trapped in the middle while the fate of both Faery and the moral world hangs in the balance yet Alyxandra Harvey introduces a structure of Raths and lesser courts that is nicely imagined and the climax of the novel includes some lovely set pieces. The romance seems fairly obligatory but is no less fun for that and Harvey, as always, writes friendship very well. The only criticism to be made is that the duel narrative structure doesn’t always work – Eloise and Jo share a voice that is so similar that it is easy to become confused when reading the alternating chapters. However, what is particularly lovely about Stolen Away is that it includes some gorgeously visual writing – Harvey’s vision of Fae is filled with detail and beauty and is a real treat for the imagination. 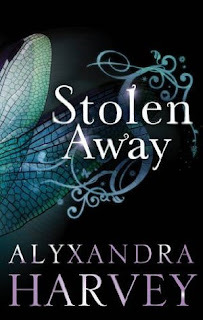 While it could be said that Alyxandra’s stand alone titles have yet to reach the level set by her fabulous Drake Chronicles, for fans of both this author and of Fae stories, Stolen Away is a sweet story, full of Harvey’s trademark humour and swoony romance. For readers who have yet to dip their toes in Faery wine, this is the perfect introduction not just to a new genre but also to a writer whose work is consistently enjoyable and full of fun. Stolen Away is available now. Thank you to Bloomsbury for sending me this title to review. Great review! 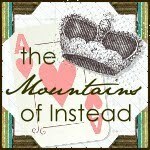 I really enjoyed this one and loved the romance between Jo and Eldric.